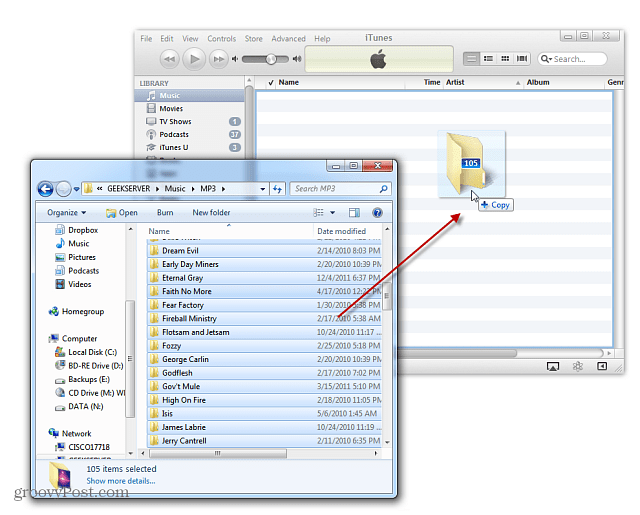 When you install iTunes for Windows, by default the Library location is in your local My Music folder. If you want to save space on your hard drive, change the location to an external or network drive. From the menu bar click Edit >> Preferences. 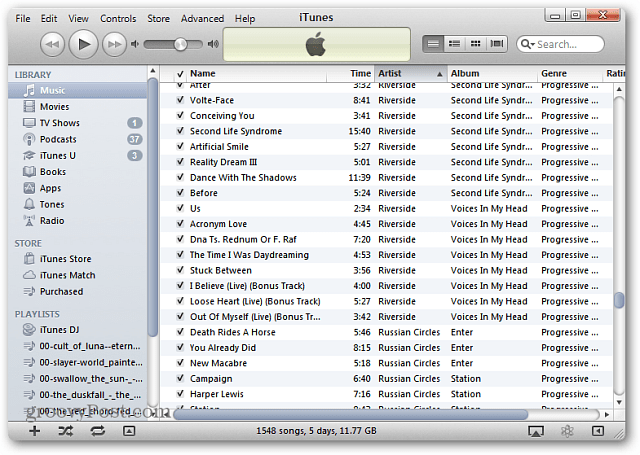 On a Mac, go to iTunes >> Preferences. 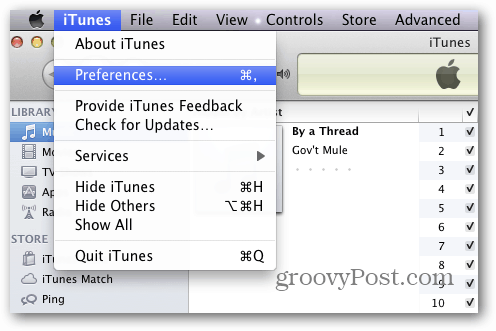 The Preferences window comes up. 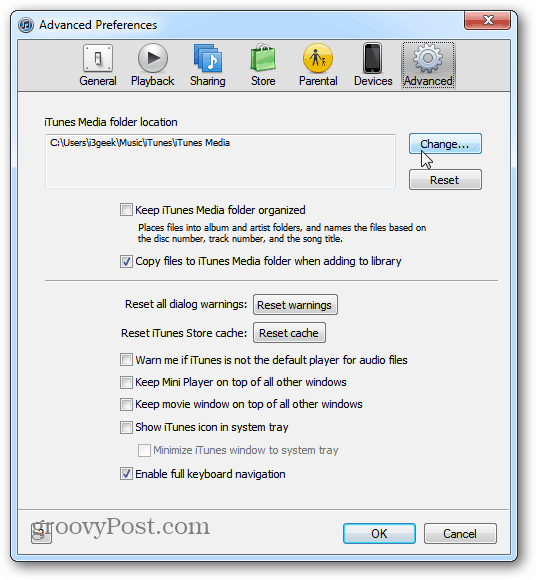 Click the Advanced icon and next to the iTunes Media Folder Location field click Change. Now select the location you want to make the new library location. 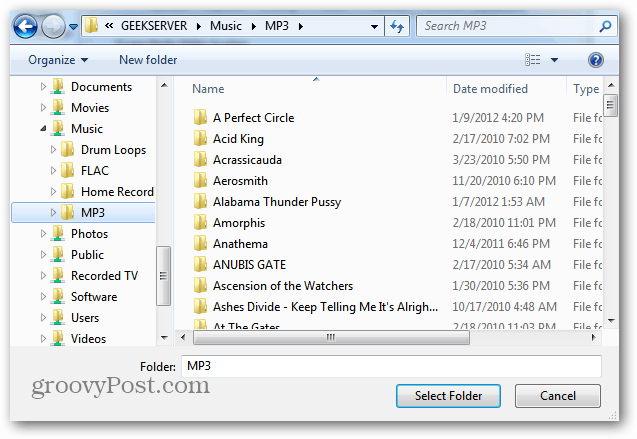 Here I’m selecting the music folder from my home server. But you can select any location you want. Now any media I buy from the iTunes store will be places in the network location. I also need to copy all of my songs over to iTunes. 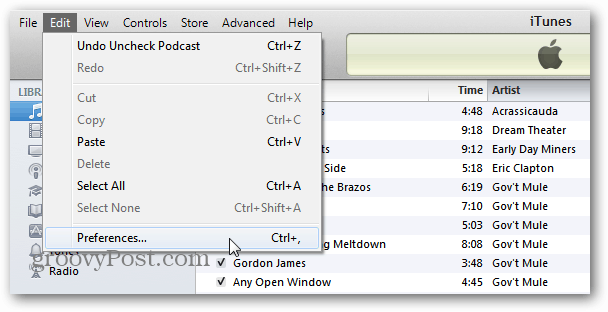 To do this, open the music directory, hit [Ctrl][A] on the keyboard to highlight all music folders. Then drag them to iTunes. Now wait while your songs copy over. Success. 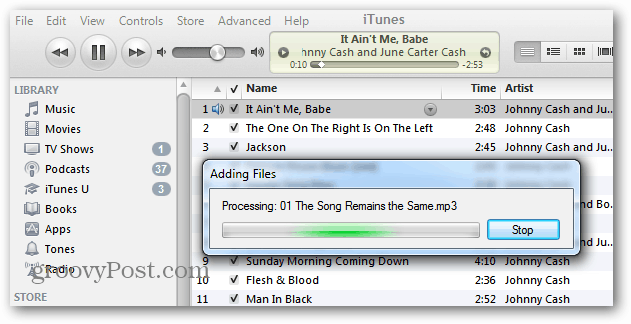 Now the iTunes music library has been transferred from the new location. If you have a lot of music in your collection, changing the library location to an external or network drive, saves a lot of space on your local drive. This process does not actually copy files to the internal drive the, correct?